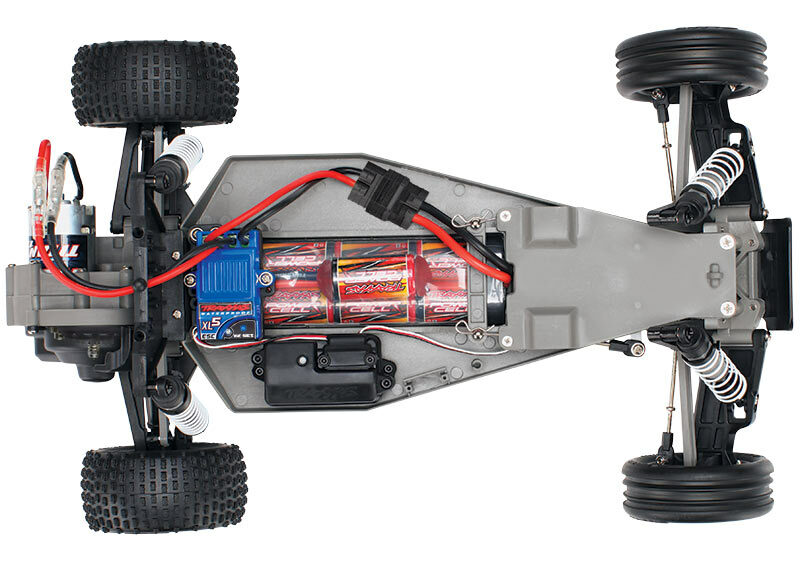 The Traxxas Bandit redefines traditional buggy performance by creating a whole new class of Extreme Sports Buggy. 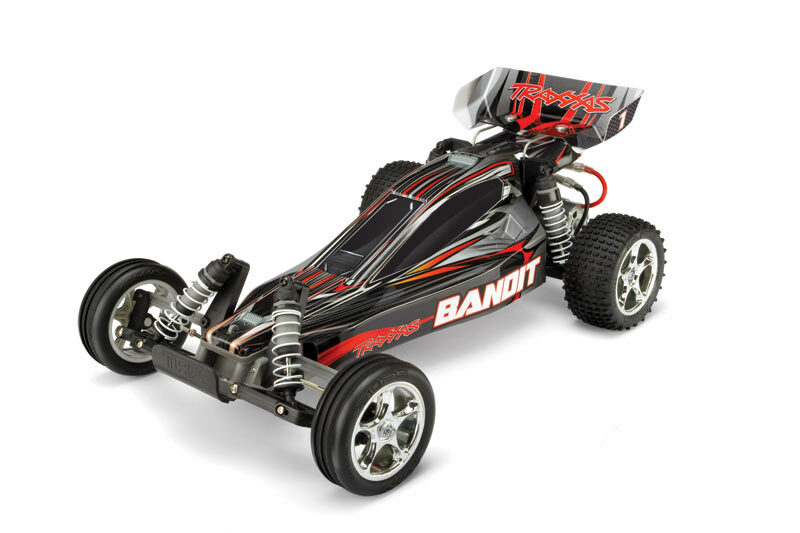 Bandit offers the highest levels of speed, action, and fun that will easily make it one of your favorites for all kinds of R/C driving excitement. The lightweight Bandit chassis is loaded with an aggressive Titan 12-Turn modified motor and a high-current XL-5 Electronic Speed Control that deliver lightning-fast acceleration and incredible 35+mph performance. Pull the trigger and Bandit rips massive rooster tails, soars over giant jumps, and lays down the power for pure performance and excitement at every turn. With features like fully waterproof electronics, 2.4Ghz radio system, HD slipper clutch, and HD metal gears this car is ready for extreme fun and harsh conditions.